At the heart of organizational transformation are people and culture. For executives charged with managing talent, big changes can translate into big challenges. How do you help employees navigate the new work environment? 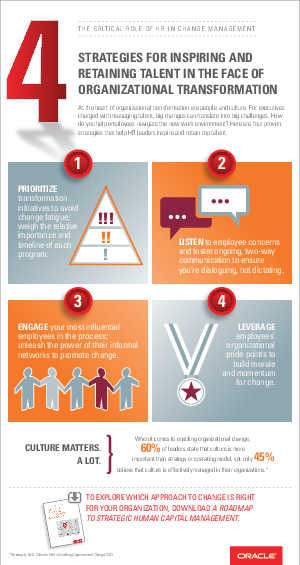 Here are four proven strategies that help HR leaders inspire and retain top talent.